Quinns: Morning, everyone. 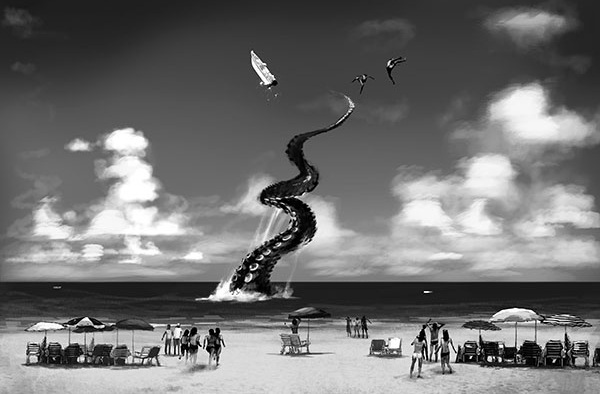 The bad news is, you’re all going to die because the end of the world is coming. The good news is, you can pick your flavour of ragnarok. 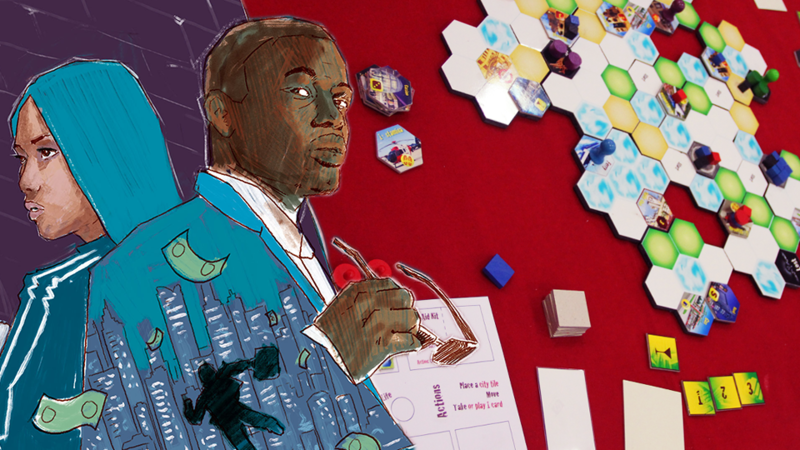 I’m referring to Fantasy Flight’s new range of pen and paper role-playing games! From left to right they’ll cover zombies, angry gods, aliens and murderous machines. In a great little twist, though, all the players control themselves. So, Paul Dean and Matt Lees having to use their real-life skills to survive when their fridges and lawnmowers start wanting them dead. 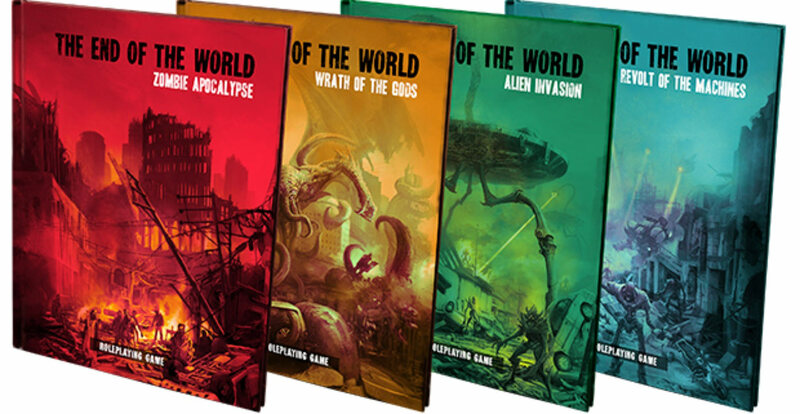 It’s a lovely idea, and each book will support both one-shot sessions where everyone inevitably dies, as well as longer campaigns that take you from the nauseating moment where everything collapses right through to a post-apocalyptic society. Which excites me personally because it means I’ll be able to run maybe twenty surrealist minutes in the first session where I can make Paul and Matt roleplay filming a video for SU&SD. What I’m even more impressed by, though, is the business sense behind the The End of the World series. With nothing more than a gorgeous palette swap Fantasy Flight has taken a single gorgeous cover design and a single set of rules, and made the prospect of buying the same expensive hardback book four times exciting rather than insulting. This has to be the work of the same devilish mind that proposed selling nine core rulebooks for their Star Wars RPG (beta, beginner and core each for scoundrels, rebels and jedis). C’mon, guys! You have to be less obvious than this. “In the kitchen, time doesn’t stop. We’re cranking out crabs at full speed! While you man the grill, your pal is already starting up the bike to deliver his first order on time. You can’t afford to be the weak link in this chain! I love the urgency of this. “We’re cranking out crabs at full speed!” It’s like a bootleg Taiwanese translation of 24. In all seriousness, real-time co-op party games where some people won’t want to work because they’re not getting paid? That sounds inherently hilarious. And then you just add crabs. Crabs are great! They’re so wise. You know there’s a French expression “You can’t sneak up on a crab”? Think about it. Berm Squerd is another real-time co-op game that’ll be receiving a boxed release later this year. 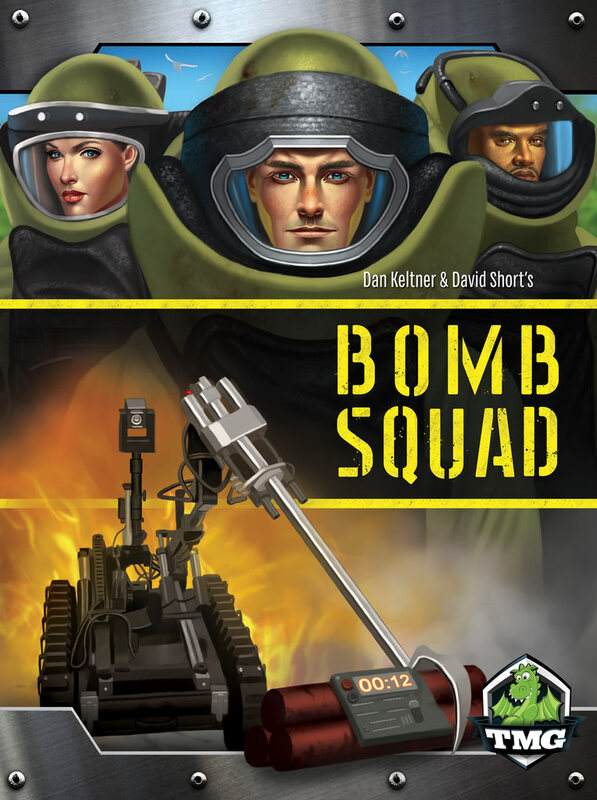 Originally a print-n-play game, Berm Squerd sees players working together to pilot a berm-disposal robert and rescue hostages befores the berms blow the building straight to hell! Each player is then dealt a hand of cards used to program the robert. HOWEVER, cheerily borrowing Hanabi’s entire game, player hold these cards backwards and on your turn you can either play a card, discard one to recharge the robert’s battery, or tell someone one of a few select things about the cards their holding. Team SU&SD didn’t get along with Hanabi very much, but I suspect Berm Squerd could be more our kind of thing. I like the thought of a mistake not just bringing misery to your friends, but where it has someone cooly wedging the robert into a toilet. Bad squerd! No biscuit. 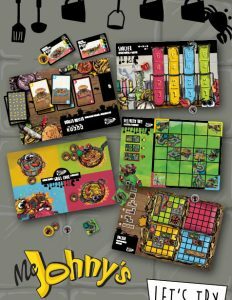 Uwe Rosenberg’s unveiled his next work of intimidating clockwork pastoralism (our review of the last one, Caverna: The Cave Farmers, is right here). 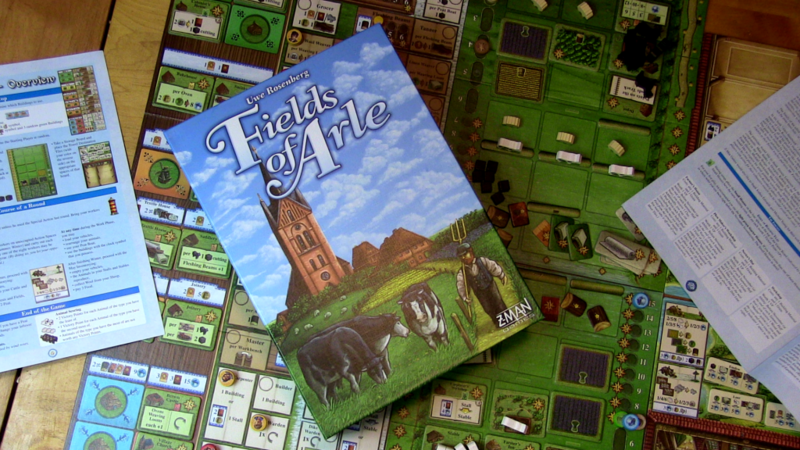 Titled Fields of Arle, it looks strikingly similar to all of Rosenberg’s most popular games- players will all receive empty estates, and spend a few years manufacturing, selling, expanding and denying vital municipal services to their friends. This time around you’re working in the rock’n’roll world of linseed farming. 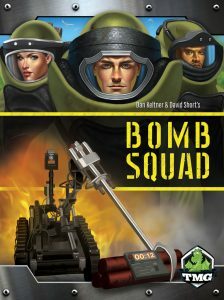 BoardGameGeek also describes it as “the most autobiographic game designed by Rosenberg.” That’s because it’s set where his parents grew up, though it makes me imagine an indie RPG where you all play entirely unhinged German board game designers, taking a road trip through the countryside to find inspiration for your new game. Imagine it! Everyone putting on bad German accents. You have to stop the car to calm someone down because you mentioned their beekeeping game that didn’t sell, and now you’re all late for your visit to the salt farm. 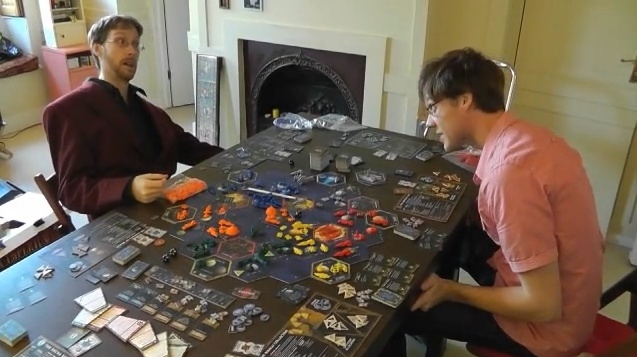 I’d play that. First, there was Werewolf. 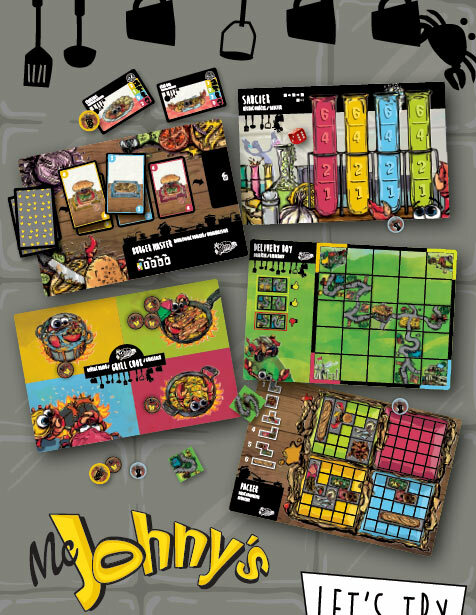 Eventually there was Ultimate Werewolf, which collected a heap of new roles in a definitive edition of the classic party game. Then there was One Night Werewolf, which turned Werewolf from an exhausting 25 minute game full of player elimination to a panicked ten minutes of discussion, followed by a winner. This week, streching titles to the very limits of modern science, Bezier games has announced One Night Ultimate Werewolf Daybreak. A standalone expansion for One Night Werewolf that contains a whole host of new roles such that everyone will be playing something weird, but that can be combined with ordinary ol’ One Night Werewolf. Everyone got that? Great! 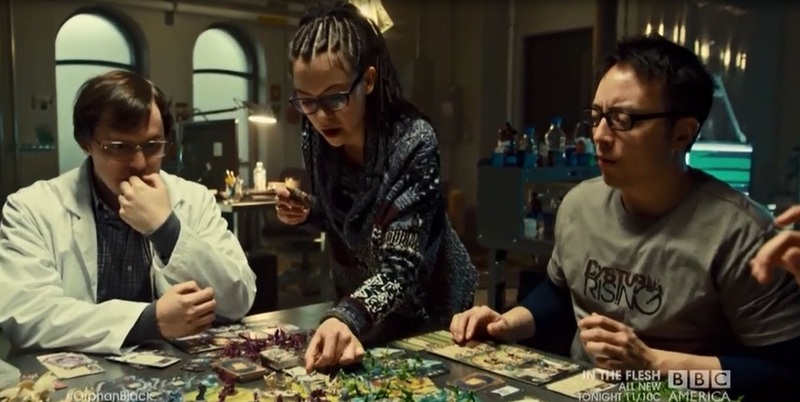 AND FINALLY, in board games-in-pop-culture news the double-take of the week goes to series 2 of Orphan Black. In a staggering scene from S02E08 the Canadian thriller series didn’t simply feature Runewars (seen above), it had a main character and her friends quibbling expertly about rules. I couldn’t have been more weirded out if one of the game boxes in my living room had grown a mouth and spoken to me. Did I mention it’s a great series, too? Although in the field of conspiracy thriller TV, this week I’ve enjoyed watching Utopia more than anything else this year. Just astonishing stuff. Do take a look if you’re into cinematography, being excited or just joyous performances.